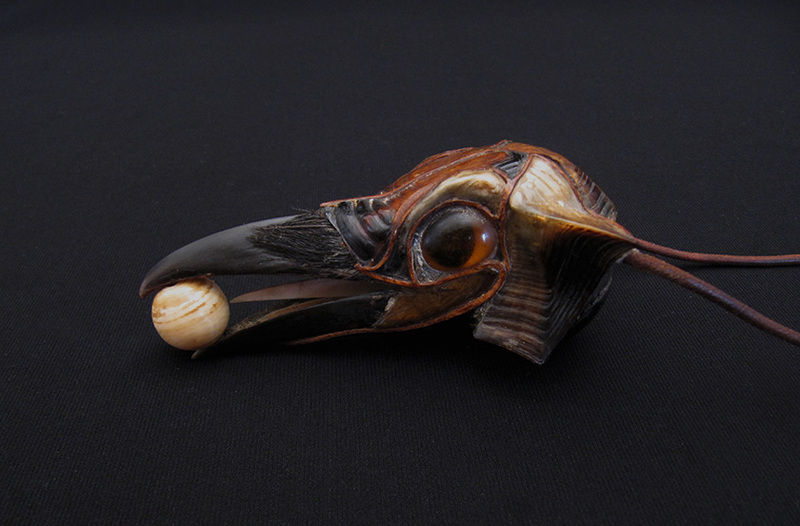 The Hawk head is made of hardened leather and turtle shell. 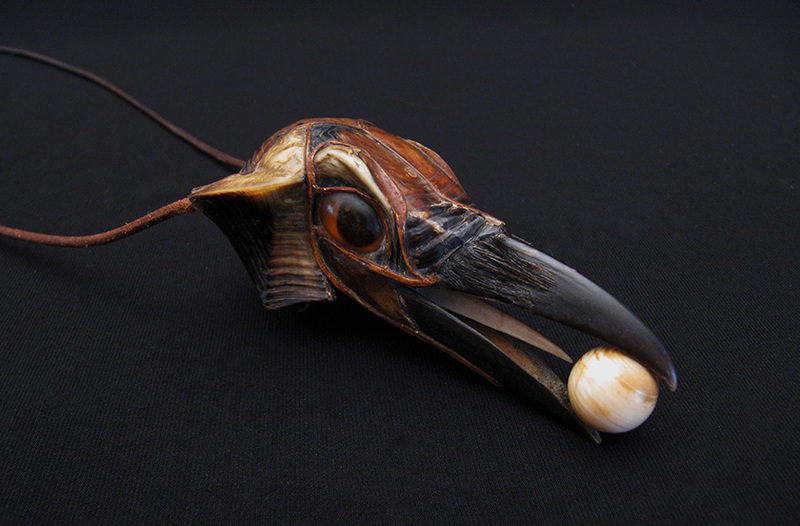 Its eyes are amber and it carries a (recycled) ivory ball in its beak. Its tongue is made of fish bone. 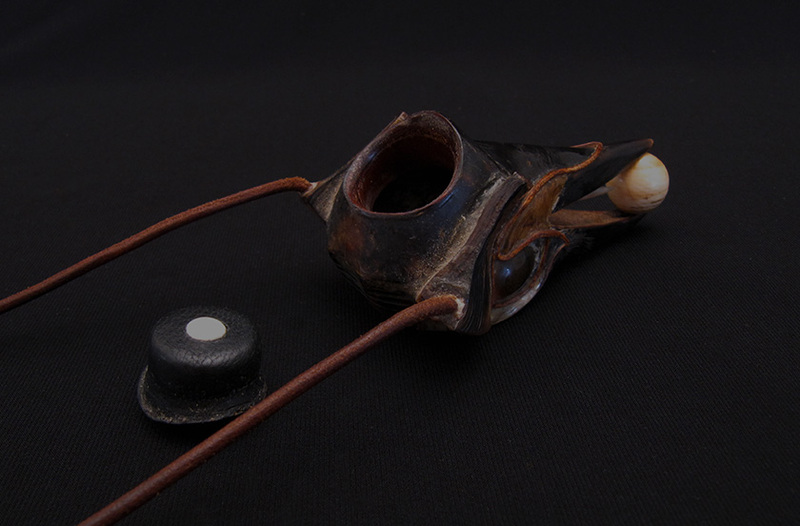 The head is hollow and has an opening at the back so that it can be used as a small box.